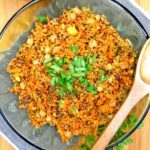 Sesame Soy Watermelon Poke – watermelon is marinated in a soy and sesame sauce in this flavorful, vegetarian version of the traditional Hawaiian dish. Poke (the Hawaiian word for “to chop”) is a traditional Hawaiian raw fish salad. Modern versions are typically made with chunks of ahi tuna, seasoned with soy sauce and sesame oil and topped with green onions and sesame seeds. I’ve enjoyed many variations of poke at restaurants, but had yet to make it at home. 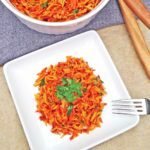 When I came across a recipe for a version of poke, made with watermelon in place of tuna, I was intrigued. At the time, I had a watermelon that needed to be used. 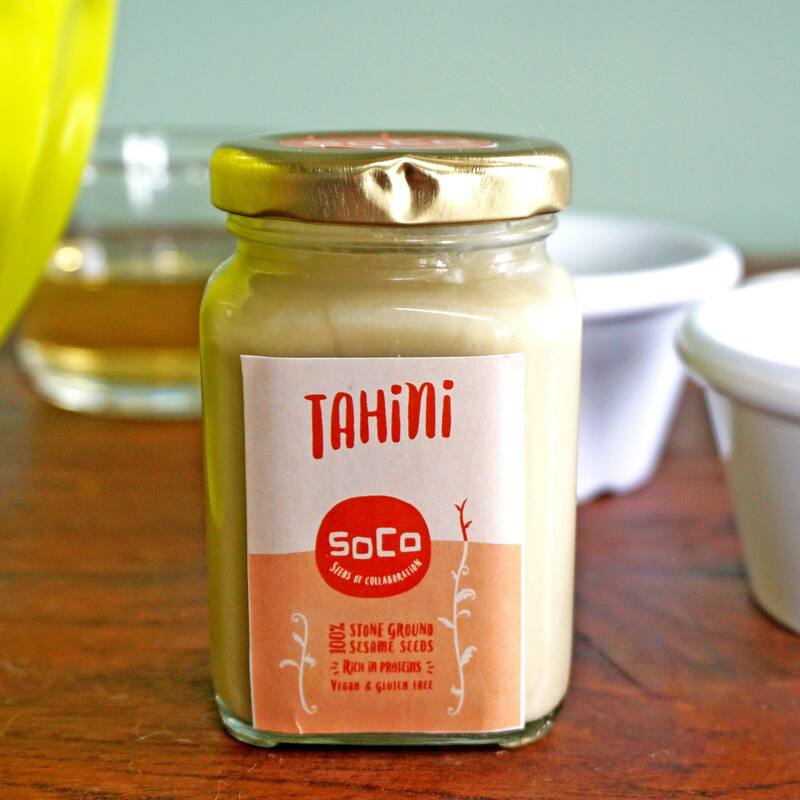 And, Seeds of Collaboration (SoCo) had just sent me a sample of their tahini, which was a main component of the recipe. So, I had the perfect opportunity to give it a try. 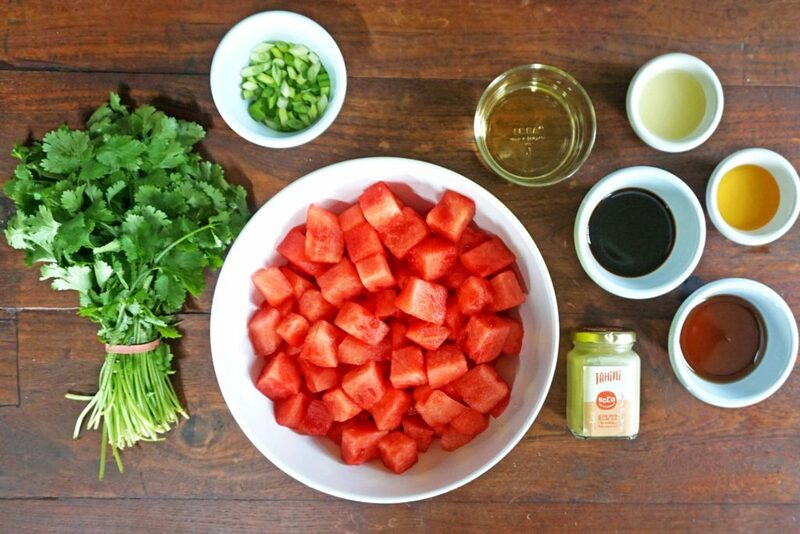 First, gather the ingredients including watermelon, rice vinegar, sesame oil, soy sauce, lime juice, tahini, honey, green onions and cilantro. Then, add the rice vinegar, sesame oil, lime juice, tahini and honey to a blender and puree until smooth. Put the watermelon chunks in a large resealable plastic bag. Pour the sauce in the blender over the watermelon in the bag. Reseal the bag and place it in the refrigerator. Chill, for at least 4 hours or overnight. 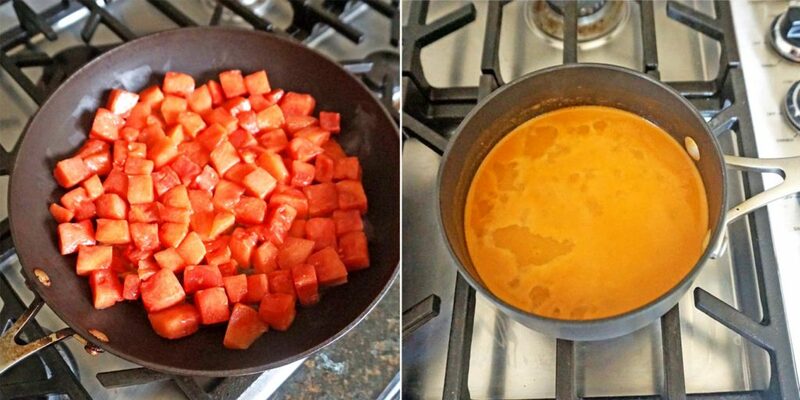 When the watermelon is done chilling, remove it from the marinade and set the marinade aside. Then, heat a large skillet over medium heat. Add the watermelon in a single layer to the skillet and cook, tossing often, about 6 to 8 minutes. While the watermelon is cooking, pour the reserved marinade into a small sauce pan. Bring the marinade to a boil, then reduce the heat and simmer until slightly thickened, about 15 minutes. Chill the watermelon and sauce separately in the refrigerator for at least one hour. Once chilled, toss the watermelon and sauce together in a large bowl, taste and season with salt as needed. 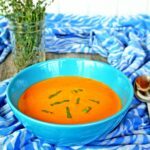 To serve, spoon the watermelon and sauce onto a serving dish or individual plates. 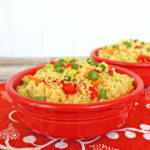 Top with cilantro, green onions and a sprinkling of sesame seeds, if desired. 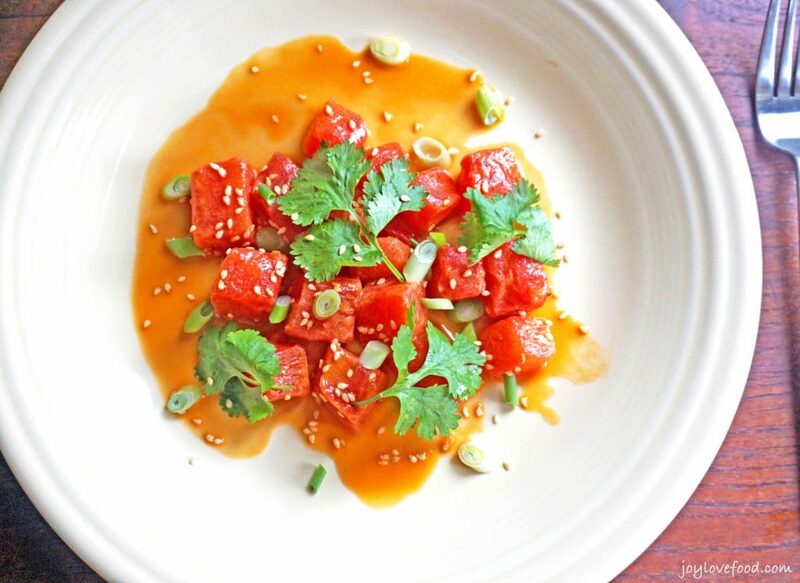 The resulting Sesame Soy Watermelon Poke has a wonderful combination of flavors and textures. It is so bright and colorful and has the appearance of the typical version made with ahi tuna. In fact, when, I served this salad to my husband, without telling him what it was, his first guess was tuna. But once he smelled and tasted it, he guessed that it was some sort of tropical fruit. He was surprised to learn that is was watermelon. We both agreed that it was delicious, and enjoyed it as a first course for dinner. 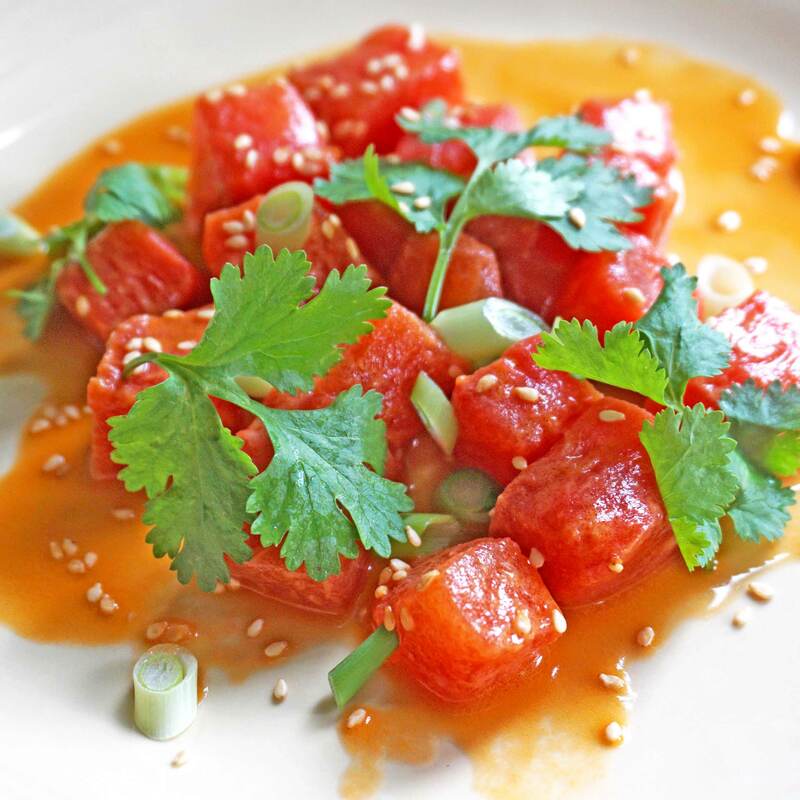 This flavorful Sesame Soy Watermelon Poke is a wonderful vegetarian variation of the traditional Hawaiian dish. 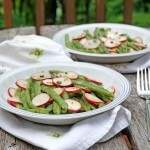 It makes a great appetizer or first course for a dinner party, vegetarian, or otherwise. 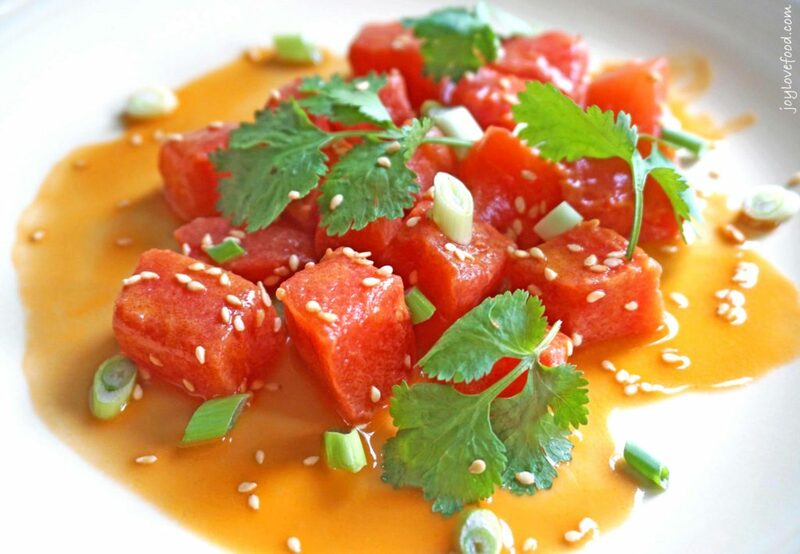 Sesame Soy Watermelon Poke - watermelon is marinated in a soy and sesame sauce in this flavorful, vegetarian version of the traditional Hawaiian dish. Add rice vinegar, sesame oil, lime juice, tahini and honey to a blender and puree until smooth. 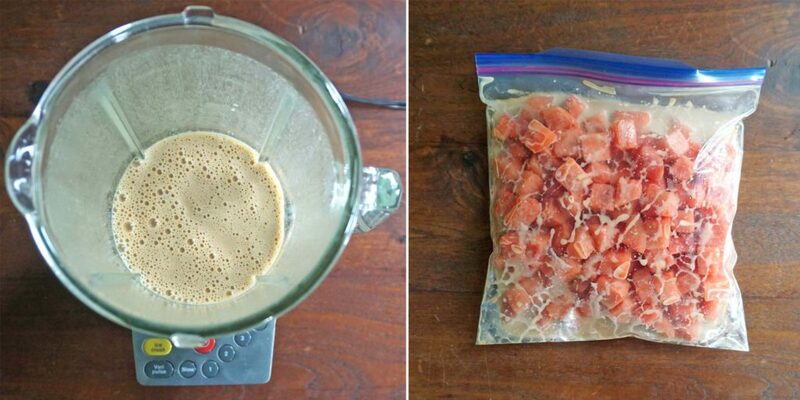 When the watermelon is done chilling, remove it from the marinade and set the marinade aside. Heat a large skillet over medium heat. Add the watermelon in a single layer to the skillet and cook, tossing often, about 6 to 8 minutes. 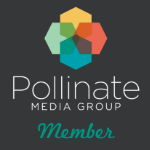 For a vegan version, substitute agave nectar for the honey. 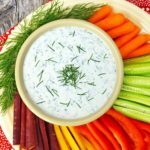 This entry was posted in Appetizers & Small Bites, Main Dishes, Salads & Sides and tagged appetizer, fall, gluten free, Hawaiian, poke, salad, sesame, soy, spring, summer, tahini, vegetarian, watermelon. 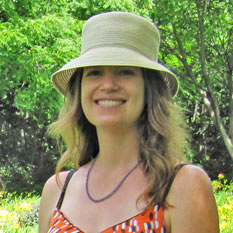 Hi Angela, thanks for visiting, so glad to hear you enjoyed this!